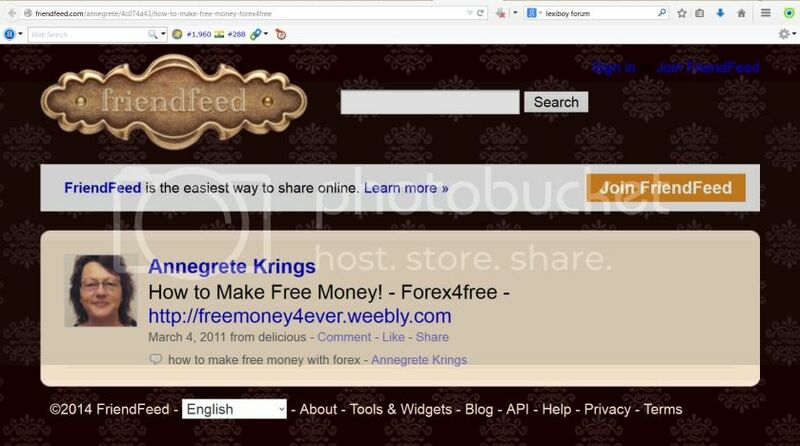 Remember "Forex4free" (2010-2011)? 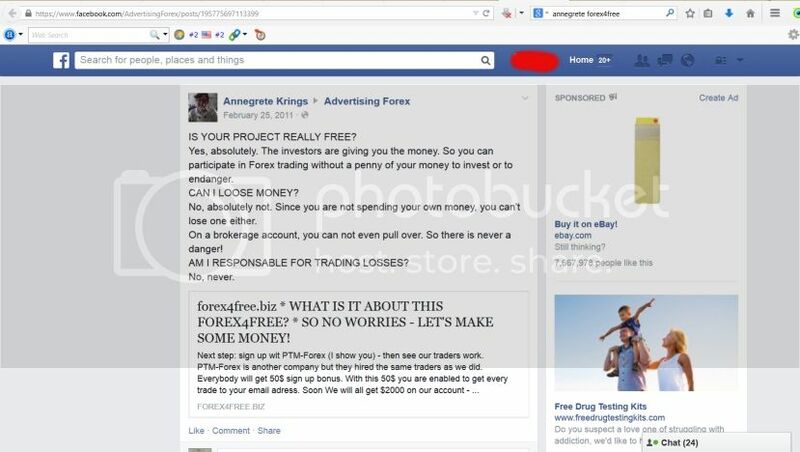 The generous outfit that claimed they were such hot forex traders that they would give you a free $200 account that would skyrocket in value and that you could withdraw from as soon as soon as it hit $1,500 and certain ever-changing recruitment goals had been achieved? Oops, then like over a year later the word went out that you would have to "unlock" your account by sending in $50 ... then even later (after the admin had been offended by all of the whining), an announcement that a further deposit of $40 was required to "separate those who were serious from those who were not". They then disappeared. Yep, "Annegrete Krings" promoted it. But never fear! 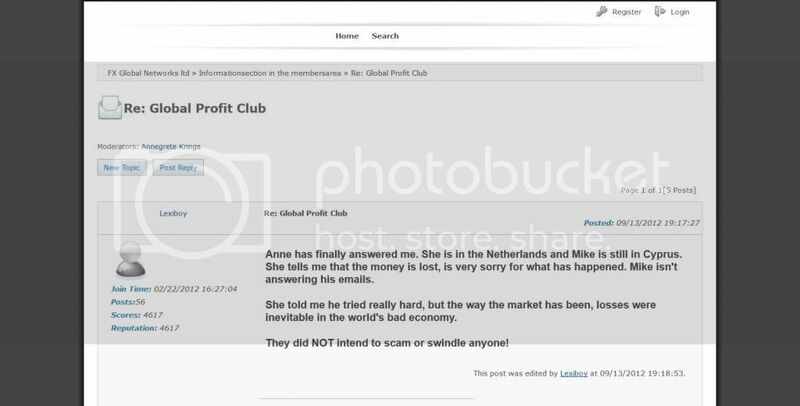 Annegrete and her purporteded husband Mike Burrows decided that they could restore all of those forex4free victims to wholeness by forex trading themselves! A Simple Forex Trading Concept. 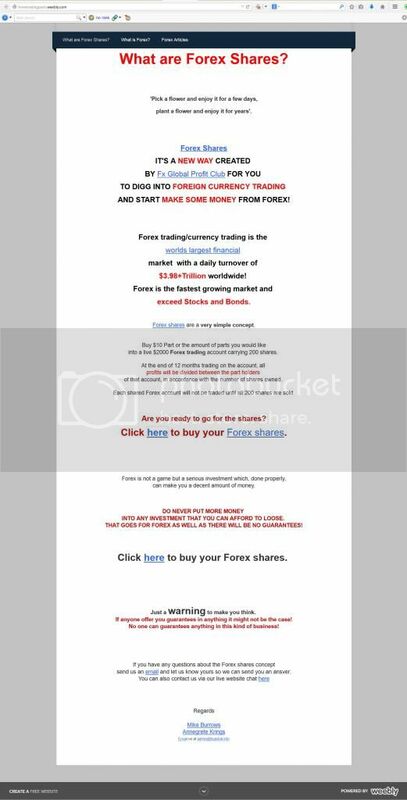 - What are Forex Shares? So what is Annegrete Krings up to these days? 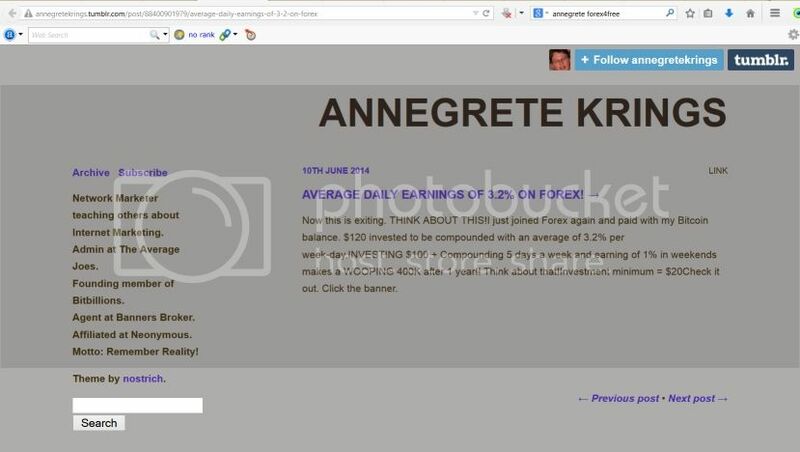 Annegrete Krings - Average Daily Earnings of 3.2% on Forex! ... and promoting Banners Broker ... and promoting the "Not So Average Joe's Feeder System" ... and failing at staying sober? TheReverseMatrix is long since dead, of course. Check out the other stuff she has pimped at the bottom of that page. So what do you do when your internet reputation becomes a slime-fest of the failed pyramid and Ponzi SCAMS you have tried to sell to other people? Why not get yourself named to the board of a charity that I have never heard of? Step right up cheerful givers ... MediShare Africa ... founded January, 2013! Announced yesterday "with a sad heart I receive the news about my X-hubbys death this morning". "X-hubby" identified as Axel Hansen. God, I'm glad I'm who I am. Life is hard sometimes, but at the same time I get a chance to the difference between life and death for some, for me, vaerdigfulde people in my life. My friend Mike was in crisis and I helped him back to life and he is now in England and is good two wander. It would be a terrible idea knowing I could have helped him but didn't because I had enough in myself and mine. My best and for me most important friend contador is in real trouble and I work all day to help him out of a very urgent temporary situation. He's acute and missing $ 6000 which means the difference between life and death for him. Until we receive the situation loose go he and hunger and course deuce money for internet credit and link can end on any time. If that happens he has no contact with the outside world and is now in a very dangerous situation. I myself have helped him what I can and don't even have $ 500 to send him to the food and the internet. If there among my friends and families would be some who understand the seriousness contador and I will be I'm forever grateful for a loan on saa to food and internet. Everything will be paid back as soon as the situation is solved, with interest. 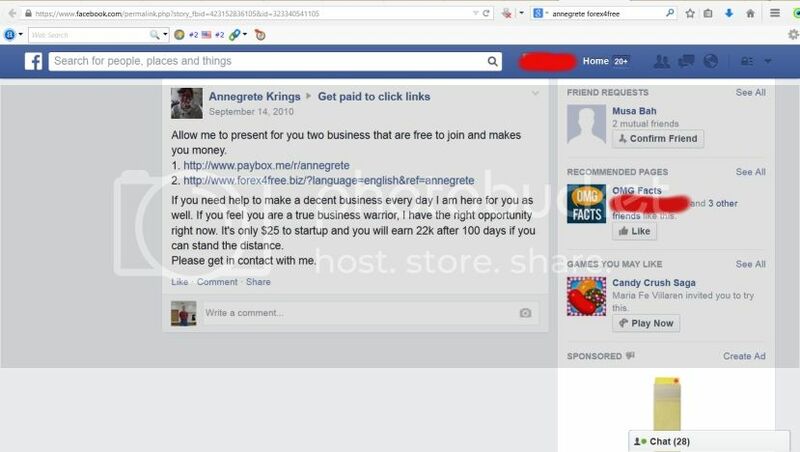 She announces on the same FaceBook page July 15, 2015 that she "Started Working at Motaso Inc."
No recent indications of Ponzi promotion or any further pretenses of being a forex trader. No recent mention of the MediShareAfrica charity where she presented herself as a board member. No apparent changes to the medishareafrica.org website since it was registered in June of 2014, other than extending the domain registration for another year. No updates to the MediShareAfrica FaceBook page since October 4, 2014. That's the amount McDonald uses on commercials per year worldwide. Kids knows the McD. mascot, but don't know how tomatoes are grown! The chances the charity is legitimate with proper oversight range between nil and none. It is not registered in the US.